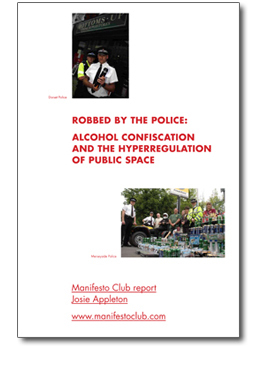 The Manifesto Club has launched a report on the police abuse of alcohol confiscation powers, Robbed by the Police: Alcohol confiscation and the hyperregulation of public space. Alcohol control zones were supposedly created to tackle serious public disorder – yet police officers are confiscating alcohol from people who are doing absolutely nothing wrong. This is a gross intrusion on public freedoms – and a big spoiler of summer picnics in parks and on beaches across the country. Download Robbed by the Police. See the report in the Times. 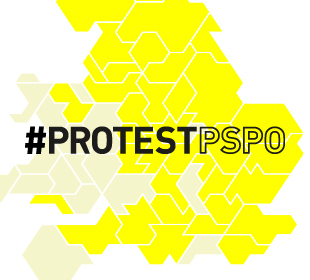 This report is launched at Brighton discussion and picnic against the booze bans, on 25 and 27 June. The Manifesto Club’s Campaign Against Booze Bans launched with a protest picnic in Hyde Park, in August 2008.